INSIDE W 61" | SEAT H 19"
Homer praised the wealth of the Ancient Egyptian city of Thebes in the Iliad when he mentioned the "heaps of precious ingots"that gleamed brightly. 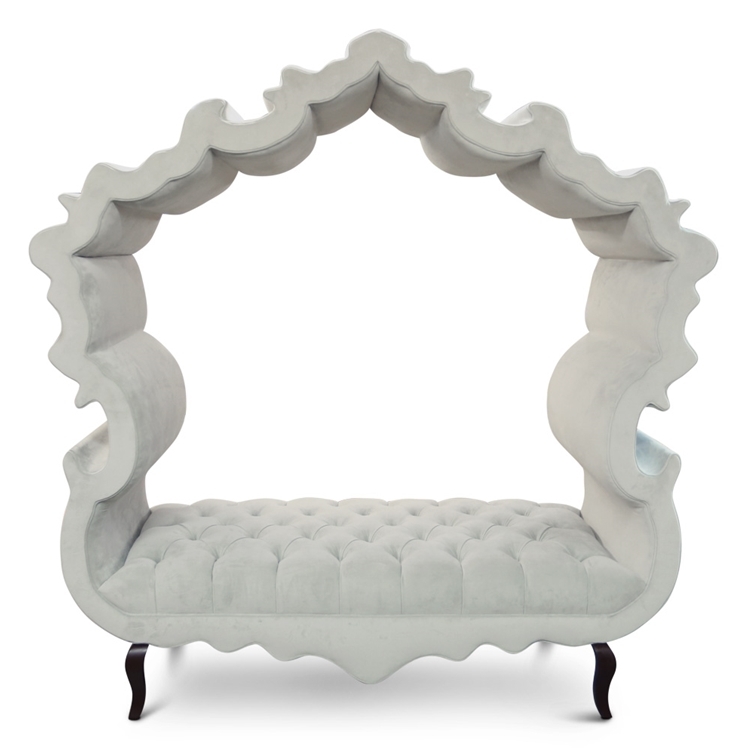 Like those precious heaps, this Thebes Banquette is anything but demure. The sophisticated silhouette is serious without being pretentious, saucy without being sassy. Customize any Haute House Home piece to your liking. Item sold as shown online. Boxed weight is approximately 345 lbs. Call 323.256.2800 or email info@hautehousehome.com with any questions or custom options.